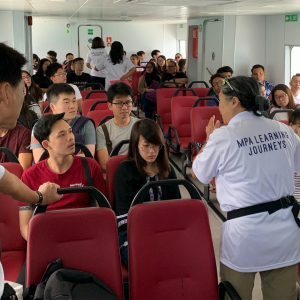 The Raffles Lighthouse learning journey is organized specially for MaritimeONE scholars and maritime students. 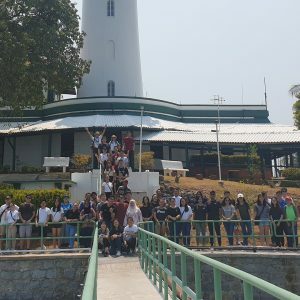 In the tour, scholars and students will get the chance to visit one of Singapore’s oldest lighthouses and learn how this iconic lighthouse plays an important role in the maritime industry. 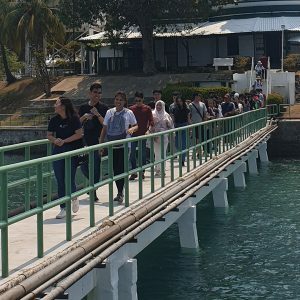 The Maritime Pavilion was organised to congregate companies offering maritime-related positions to create a unified identity and branding. 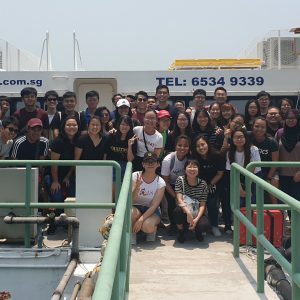 Students from NUS were encouraged to walk through Maritime Pavilion at the NUS Career Fair to better understand the opportunities the maritime industry has to offer and to provide a one-stop recruitment platform for the undergraduates. 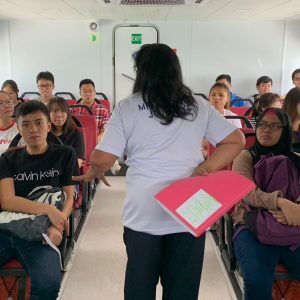 The inaugural Maritime Experiential Programme (MEP) is organised specially for secondary schools where it aimed to bring youths to interesting maritime locations in Singapore to broaden their perspectives on maritime operations.